Landmann was an Alsatian producer known for thinking outside the box, and this wine is but an example (there were many more). Made from Sylvaner grapes grown on the Zinnkoepflé Grand Cru, one of the best sites in all Alsace for Sylvaner (and where the grapes for Landmann’s famous Sylvaner Z, a drier wine, come from), these were picked and pressed frozen at -7°C, just like in Icewine/Eiswein production. 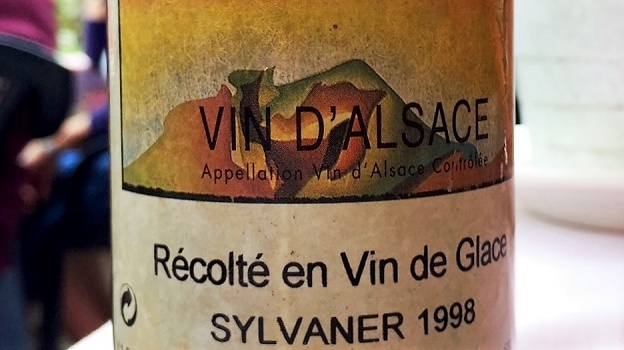 Clearly, Vin de Glace is not an officially recognized category in Alsace, hence the name of ‘recolté en vin de glace’ moniker on the label. Golden yellow in color, with strong aromas and flavors of caramelized pear and baked apple complicated by delicate sweet spices, the 1998 is not as sweet as most Icewines, but could still have used a little more acidity to keep it from being cloying on the long, smooth finish. Still, this extremely rare, dainty vin de glace is a lovely drink indeed. Landmann has since sold off his business to the Rieflé estate, but has stayed on with the new owners and continues to work on behalf of the Seppi Landmann wines promoting them all over the world. 90/Drink: 2015-2020.